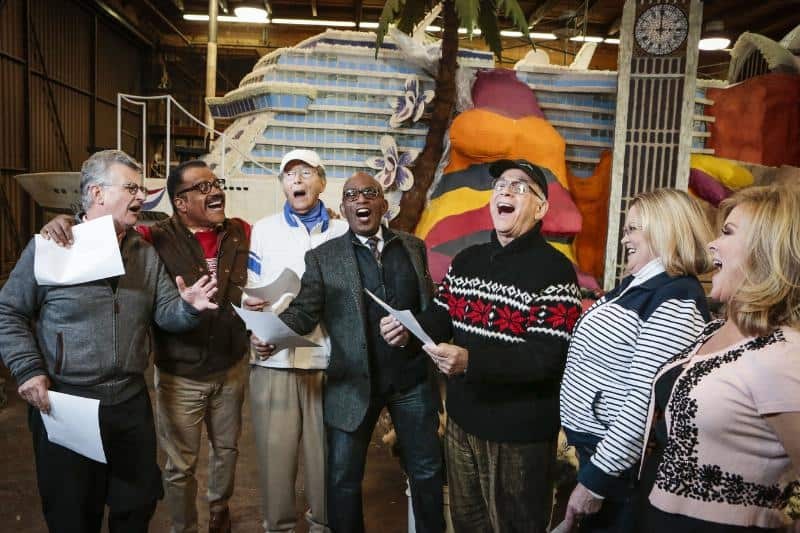 Co-anchor of “Today” Al Roker, along with the cast of “The Love Boat,” sing the show’s theme song in front of Princess Cruises’ Rose Parade float. Pictured with Roker, from left from right: Fred Grandy, Ted Lange, Bernie Kopell, Gavin MacLeod, Lauren Tewes and Jill Whelan. Rose Parade launches Princess’ 50th anniversary year and pays tribute to the light-hearted TV show which played such an integral role in the cruise line’s early history.